It had to happen at some point. It's taken 30 years, and stints with Modest Mouse, The Cribs, The The and of course The Smiths to get this far, but on 25 February, Johnny Marr - arguably the most important guitarist of his generation - will at long last unveil a solo album. "It is late in the day to be making my debut," admitted the Mancunian in a recent interview. "I didn't want to be in someone else's band at this point. In the past I might have been reluctant to stand up front, and I've been lucky enough to be in bands with great singers, so it wasn't necessary. But this is my band now." The prospect is certainly an enticing one. This, after all is the man who along with Morrissey formed half of one of music's most potent songwriting partnerships, simultaneously spawning infinite copyists with his effortless, jangling instrumental style. Brief though they were, that unmistakable sound also grabbed the spotlight in his subsequent outfits; a vast overwhelming presence crying out to be set loose in a solo guise. 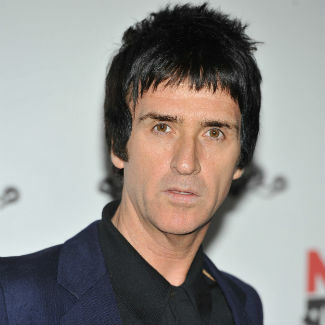 The Smiths reunion rumours will linger for some time yet, but with The Messenger Marr is embarking on one of his most ambitious exertions to date - a project which will hopefully enhance rather than dent his enduring legacy. The Messenger is due for release on 25 February.